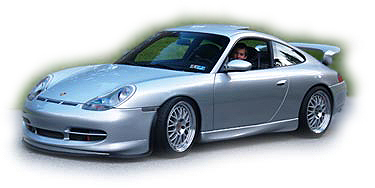 This 996 started life as an aero-kit equipped 1999 C2. It was subsequently upgraded to complete GT3 RSR mechanicals. A Cup Car nose and tail with radiator were added along with special BBS wheels. This car has leather GT3 seats and a very special engine. 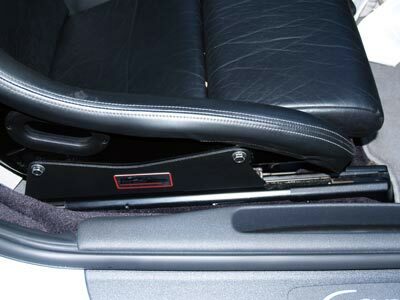 This car is equipped with a variety of Brey-Krause products as indicated below. 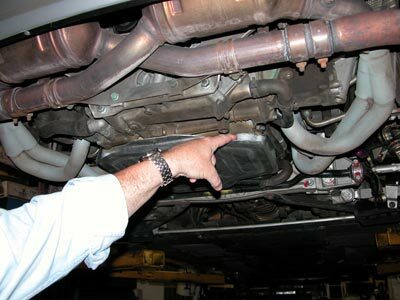 The R-9095 Deep Sump Oil Pan Kit eliminates oil starvation and is designed to fit the Porsche 996/997, Boxster and Boxster S.
The R-9078 Side Mount Brackets for GT3 Race Seat can be used for the driver's side manual sliders in the 911(1999 - present), Boxster, Cayman. 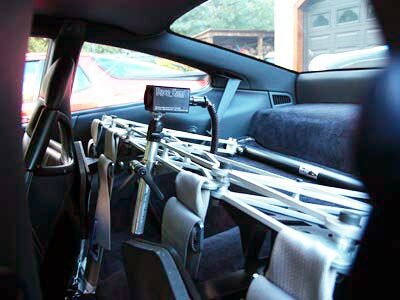 The R-9079 Side Mount Brackets for GT3 Race Seat is available for the passenger seat. The R-1035 Harness Truss is a work of art in addition to an engineering marvel. It weighs only a fraction of what tubular or bar steel weighs for comparable function. The water-jet machining preserves tensile strength and results in a perfect fit to Porsche factory mounting points. 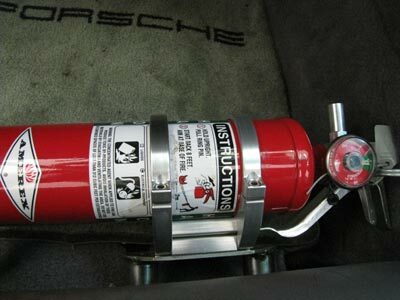 The R-9520 Quick Release Fire Extinguisher Mount is as nice to look at as it is functional. It is exquisitely CNC machined from 6160 billet aluminum and clear anodized for durability.